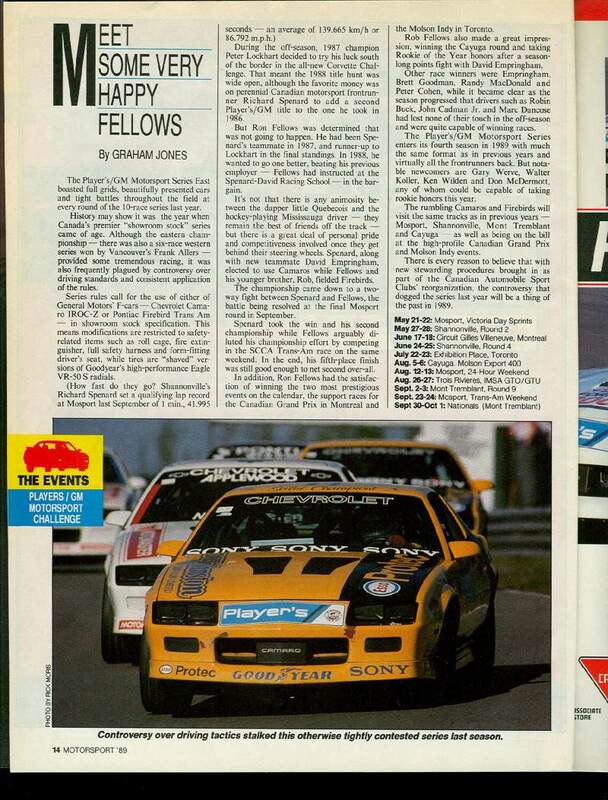 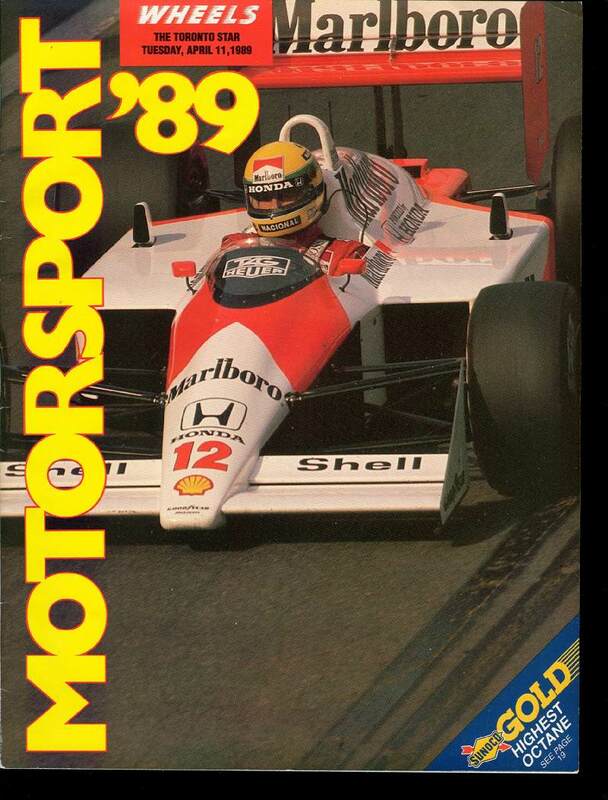 The following are the various magazines articles that feature information about the Player's LTD. racing and GM Motorsport. 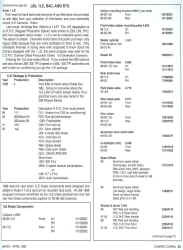 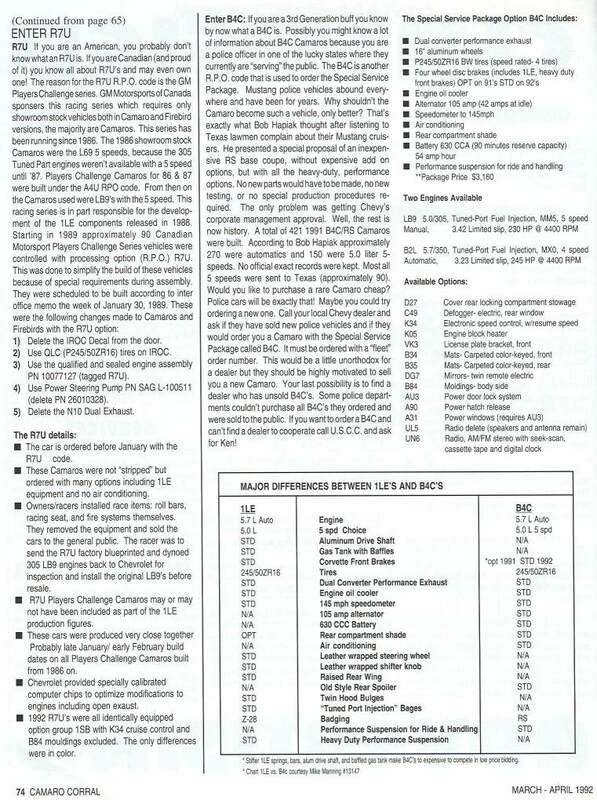 Information presented here is for HISTORICAL purposes. 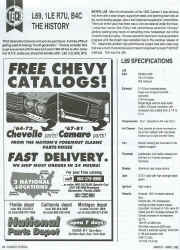 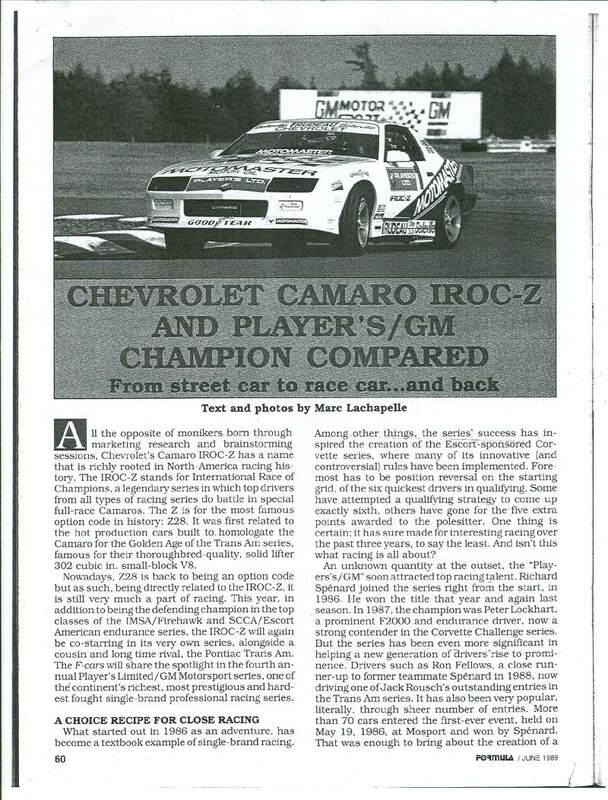 If you have any other articles featuring Player's LTD./GM Motorsport Camaro's or Trans Ams, please contact me. 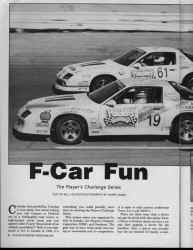 Perhaps the best R7U article found to date. 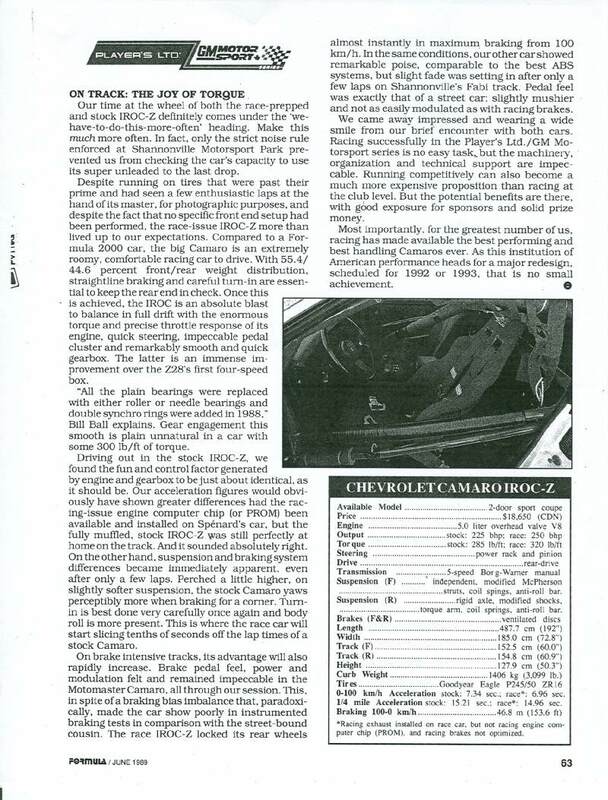 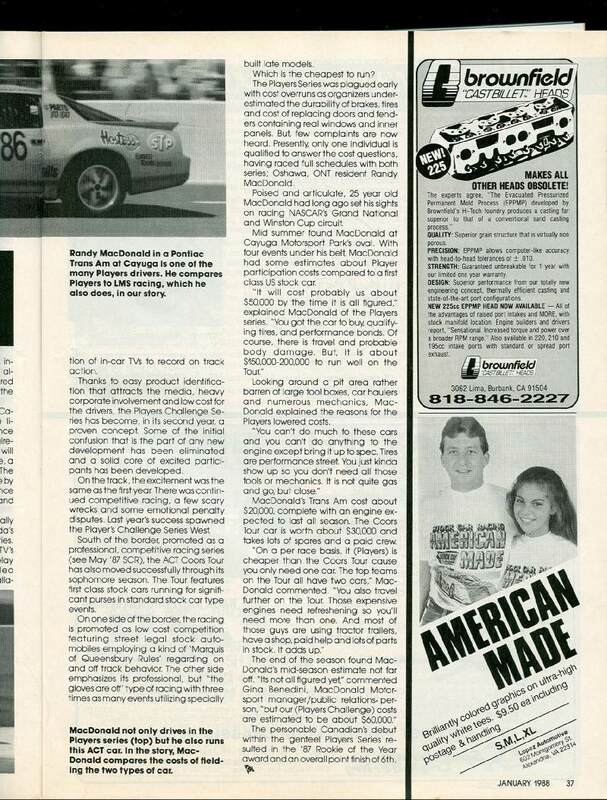 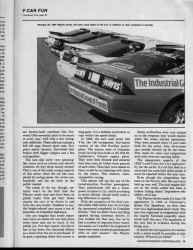 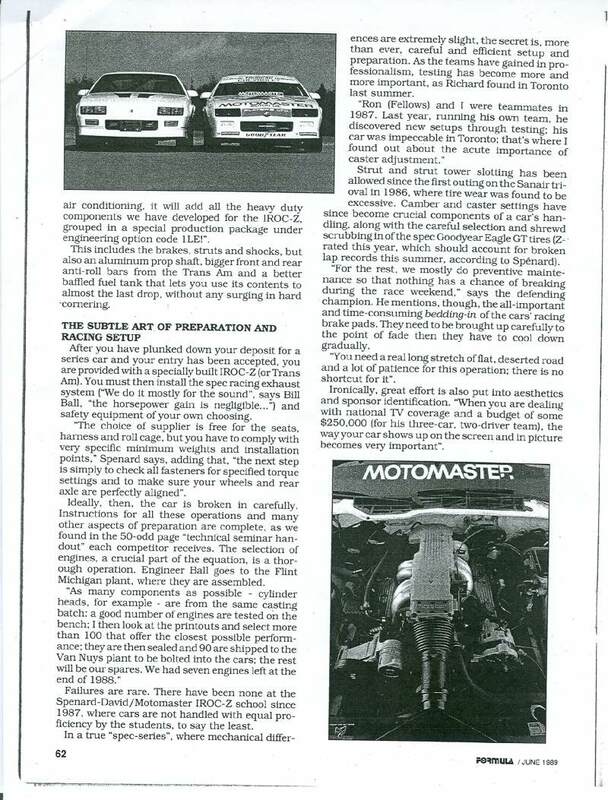 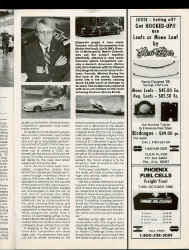 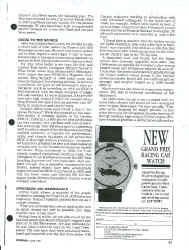 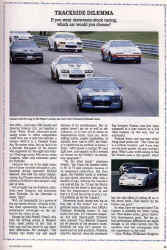 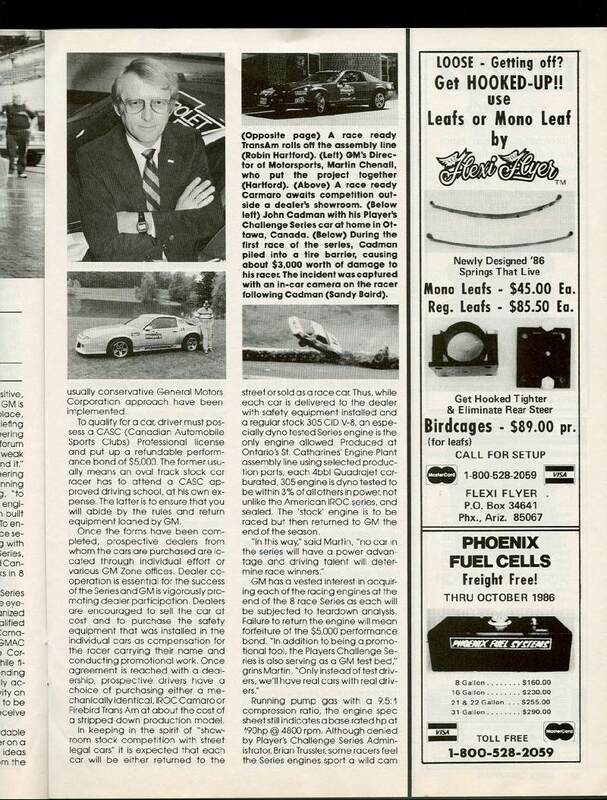 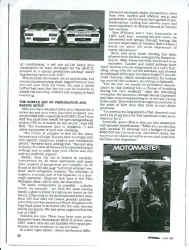 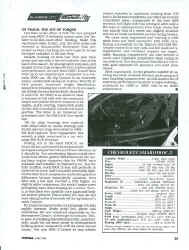 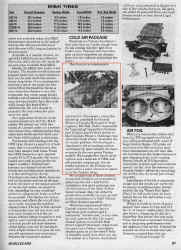 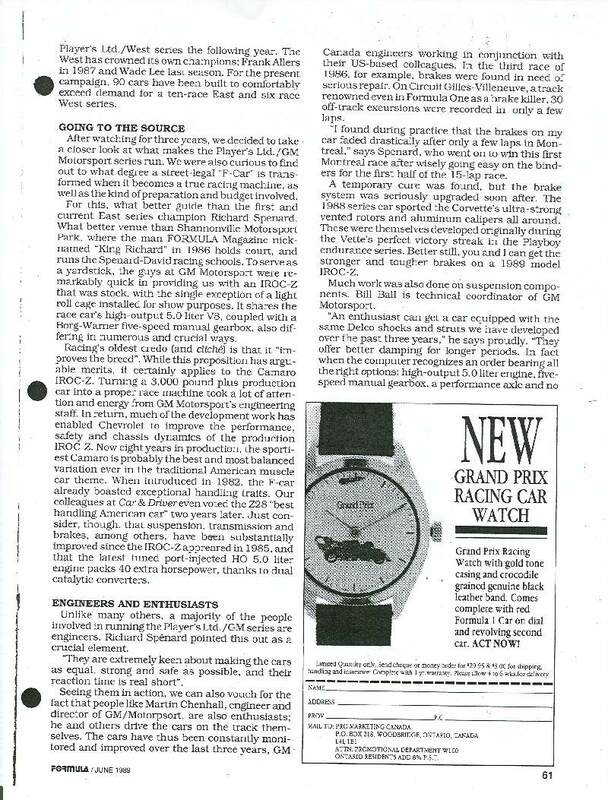 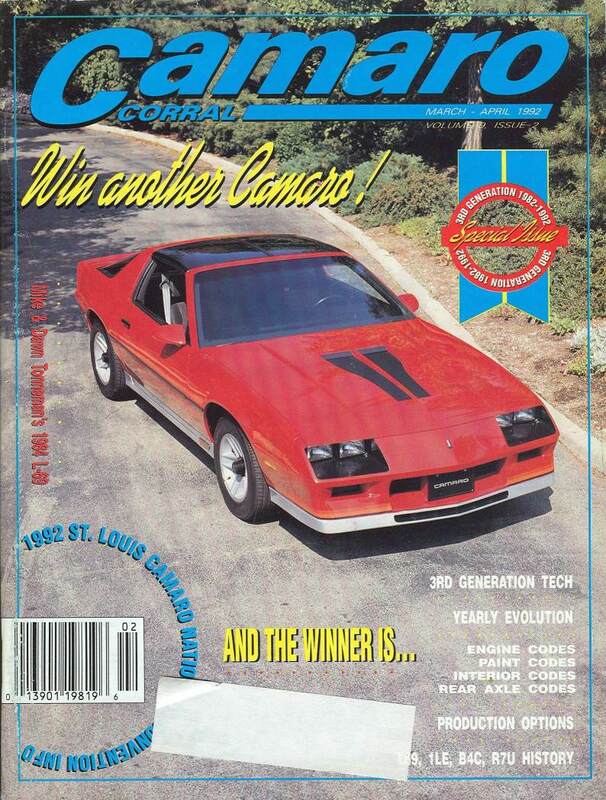 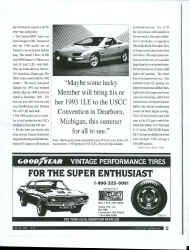 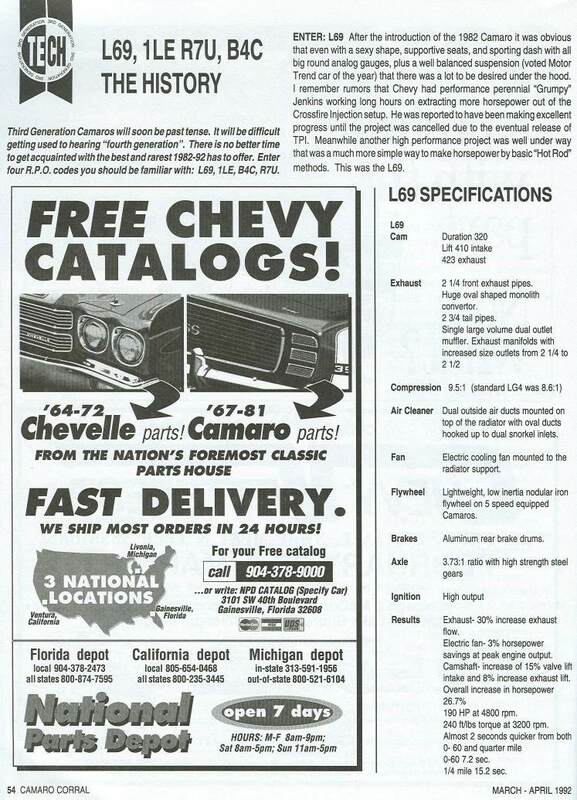 This article is a one-time produced "Camaro Firebird Performance" in the mid-late 80's. 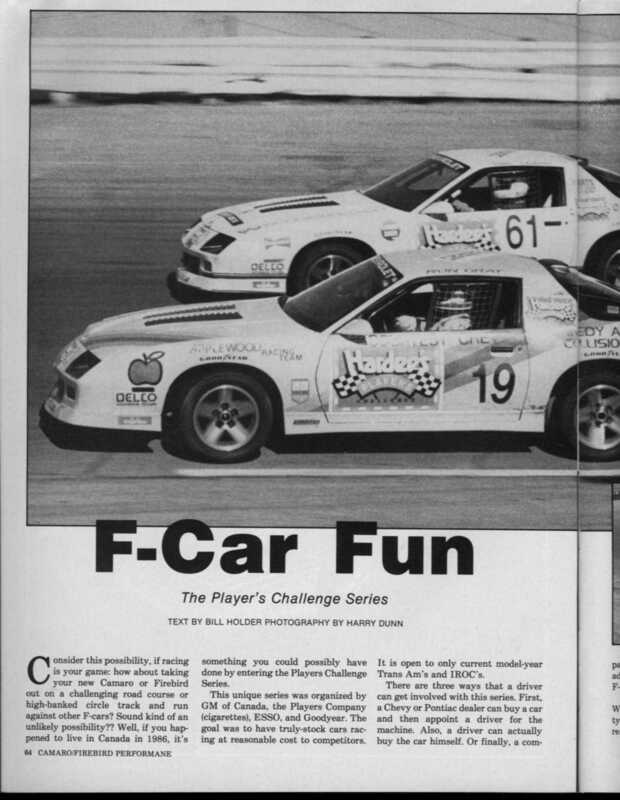 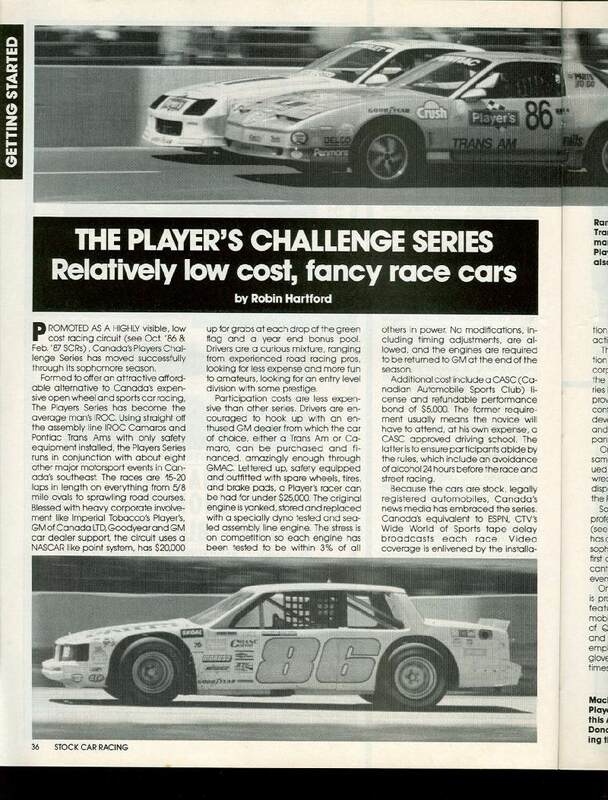 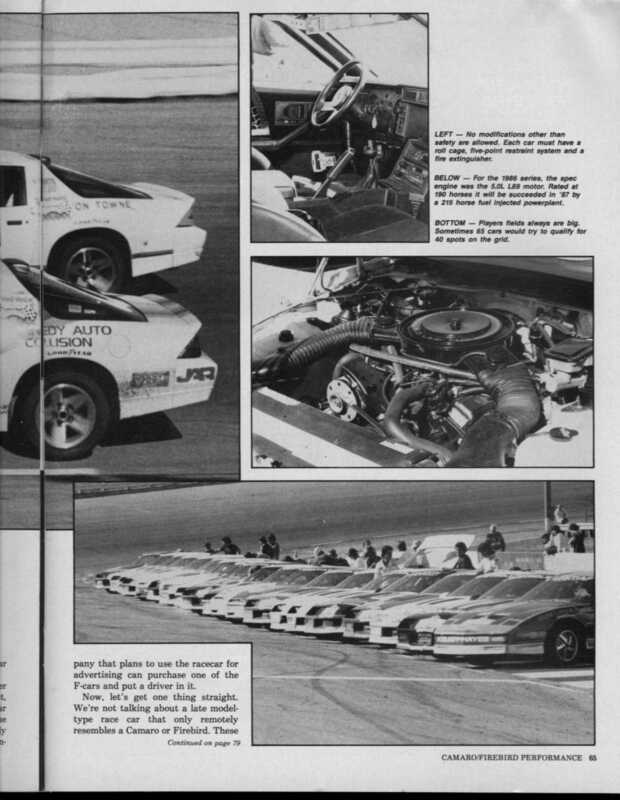 The article features the only US run race for the Player's cars. 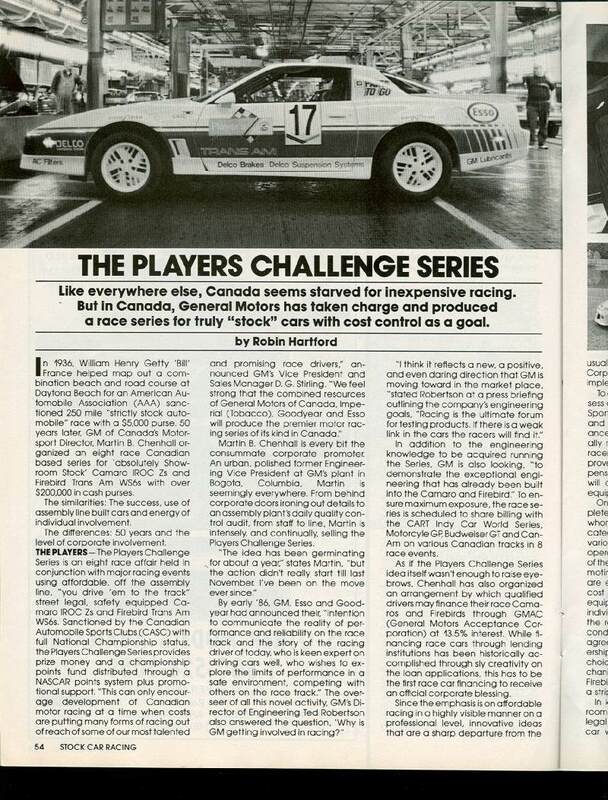 The Player's logo was replaced by the US sponsor Hardees. 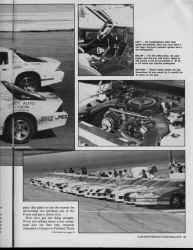 Good write up on the series beginnings. 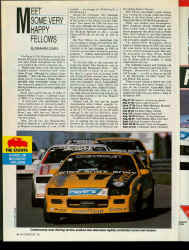 StockCar Racing January 1988. 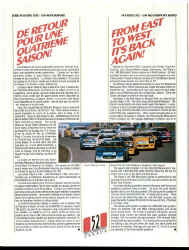 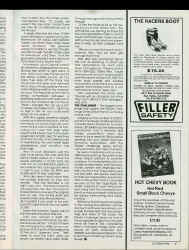 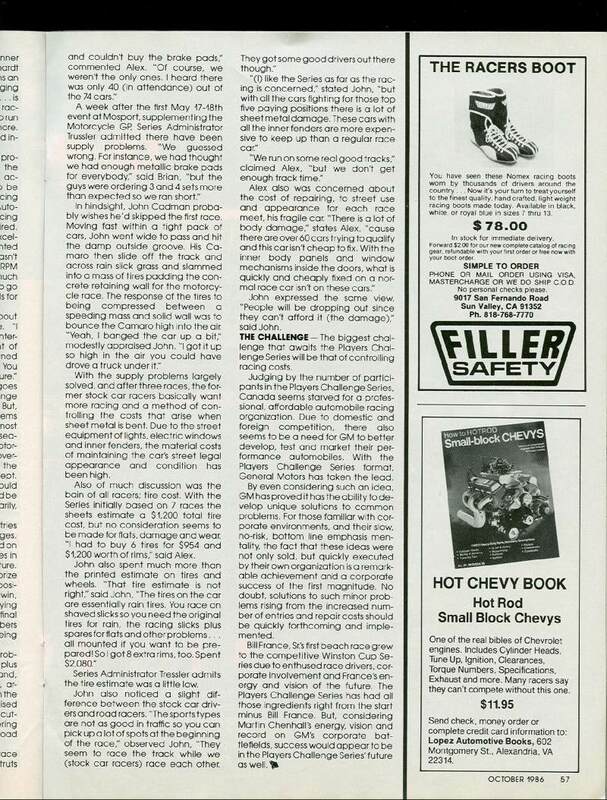 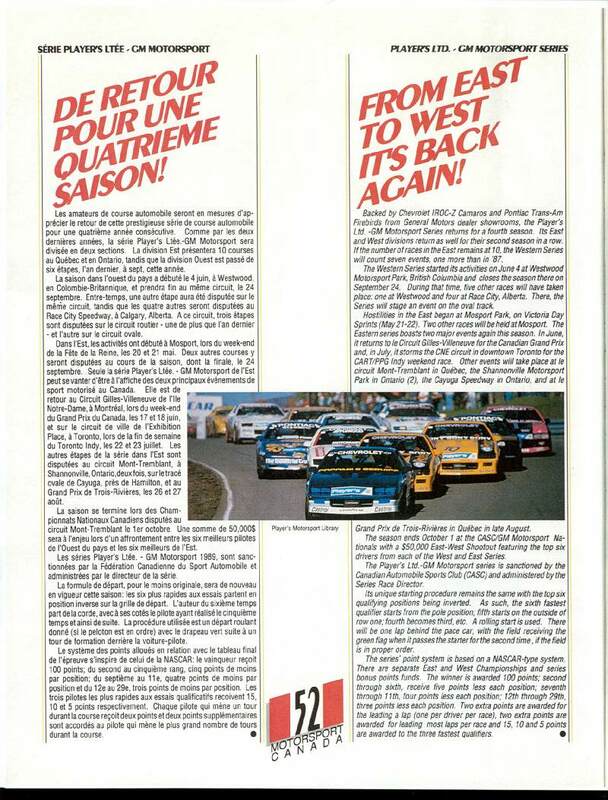 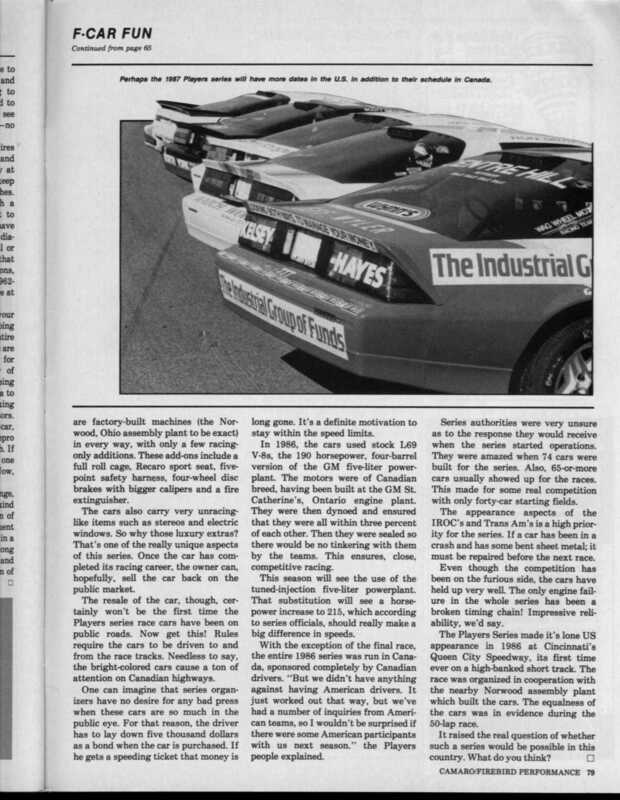 A review of the 1987 season. 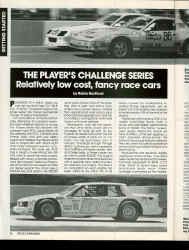 Absolutely great article with a comparison between a stock car and an R7U car. 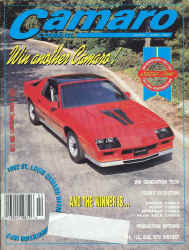 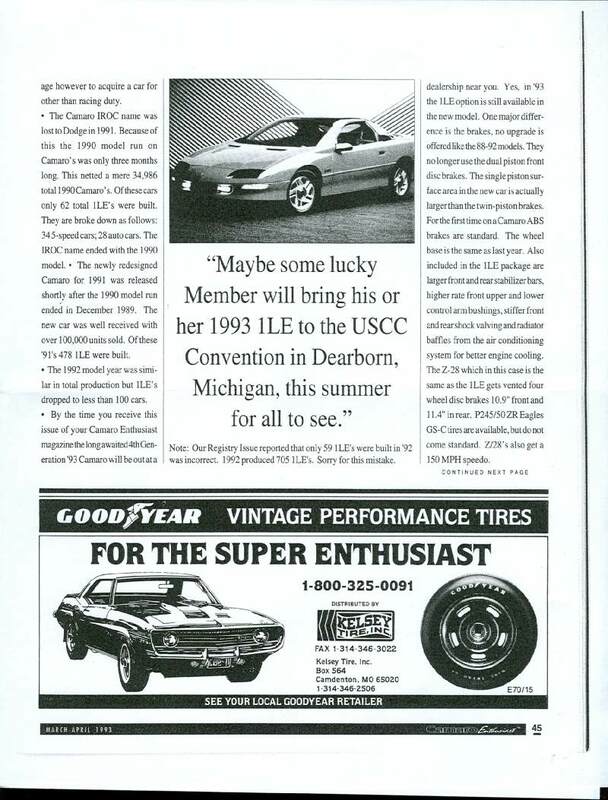 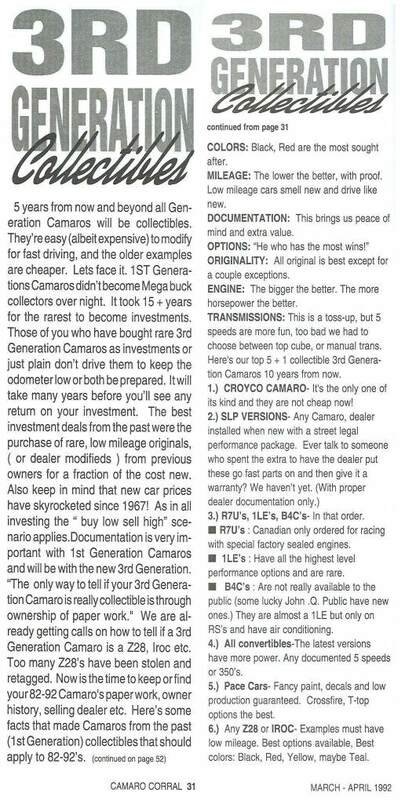 Camaro Enthusiast March 1992. 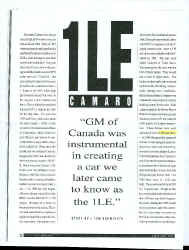 A brief history into how 1LE came to be. 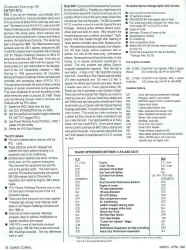 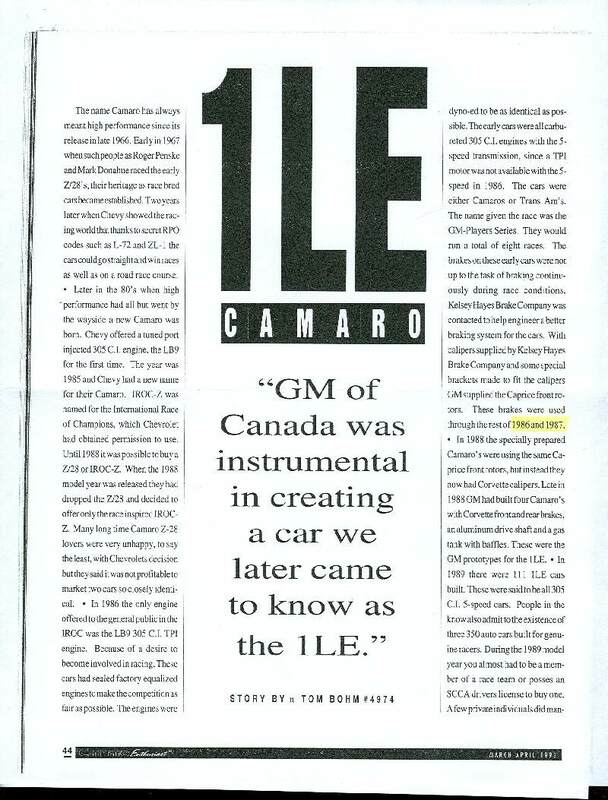 As well as listing of magazine articles that featured information on 1LE. 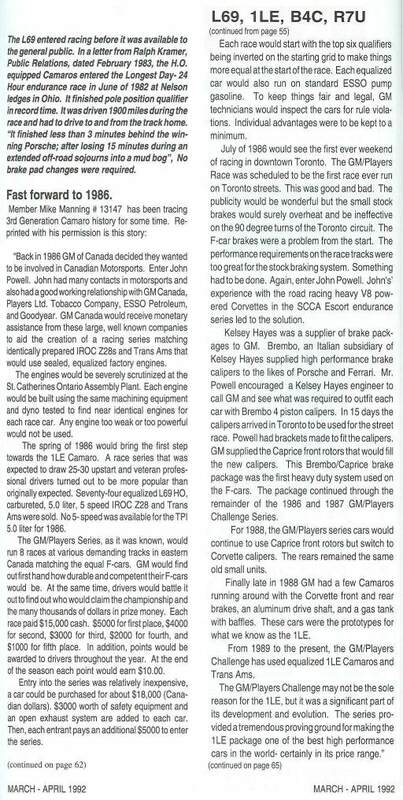 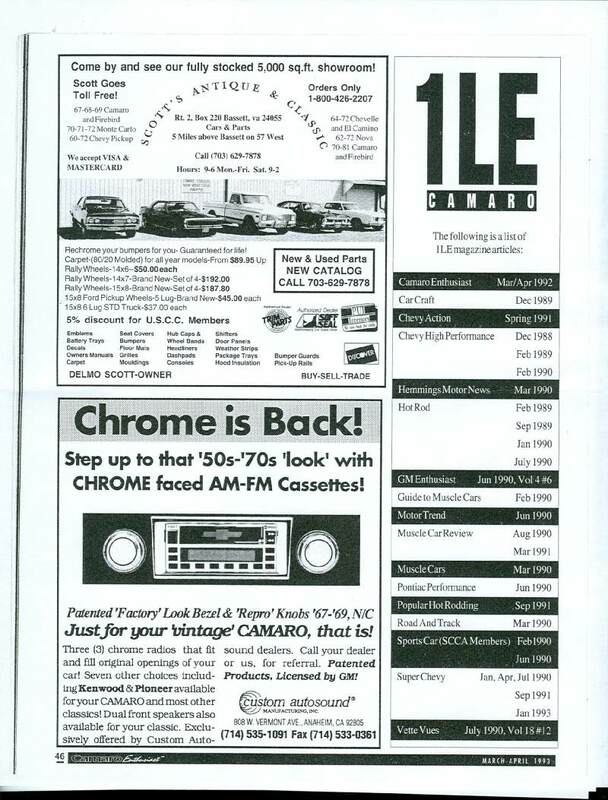 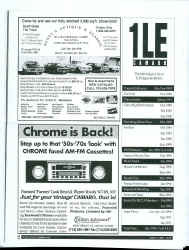 In insert in the Toronto Paper in 1989. 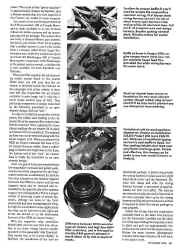 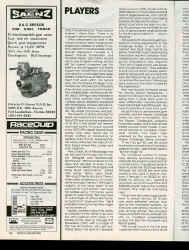 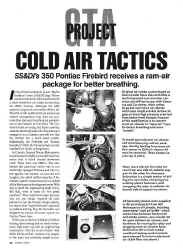 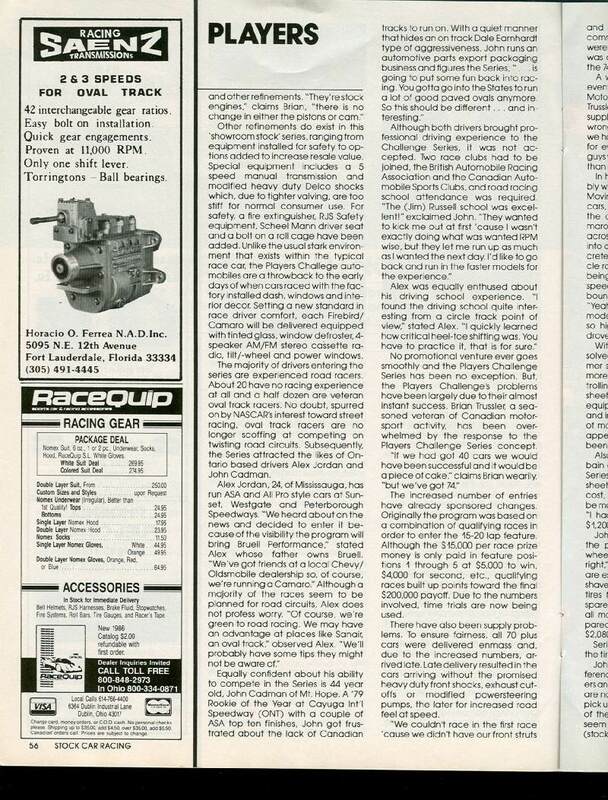 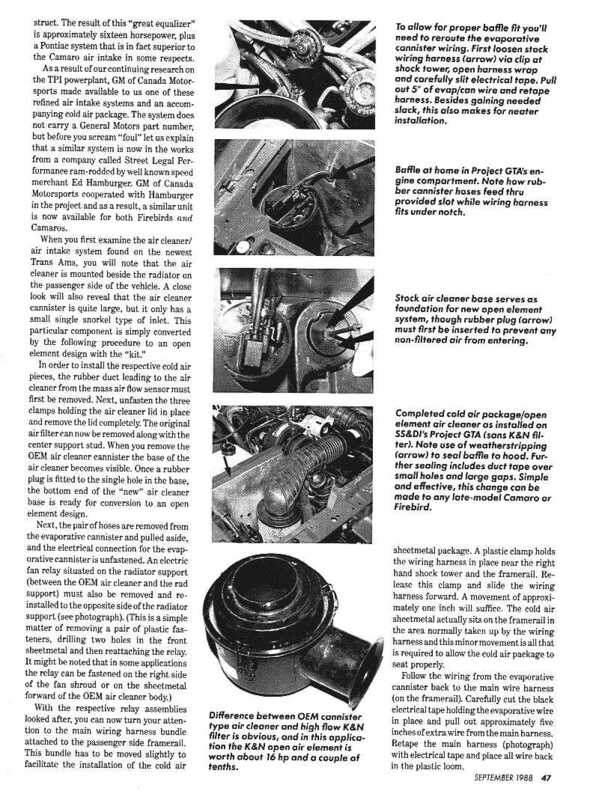 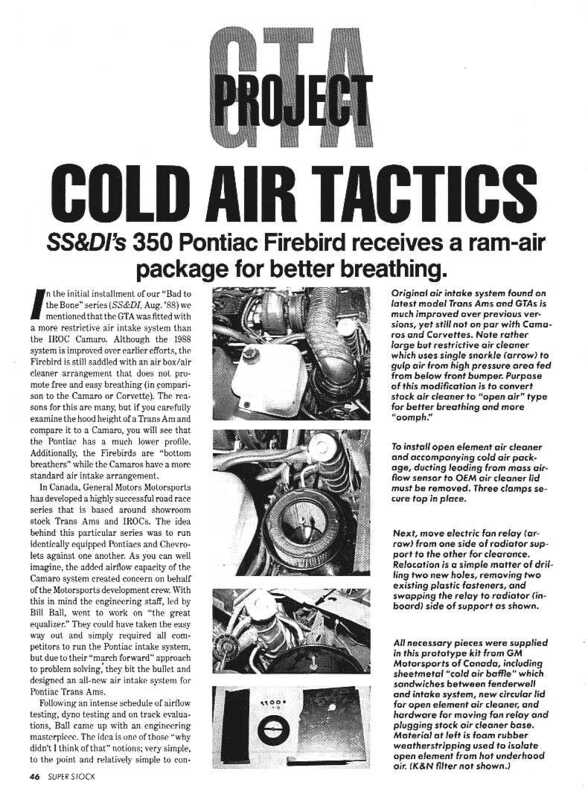 An article testing GM Motorsport's cold air kit for the Firebird. 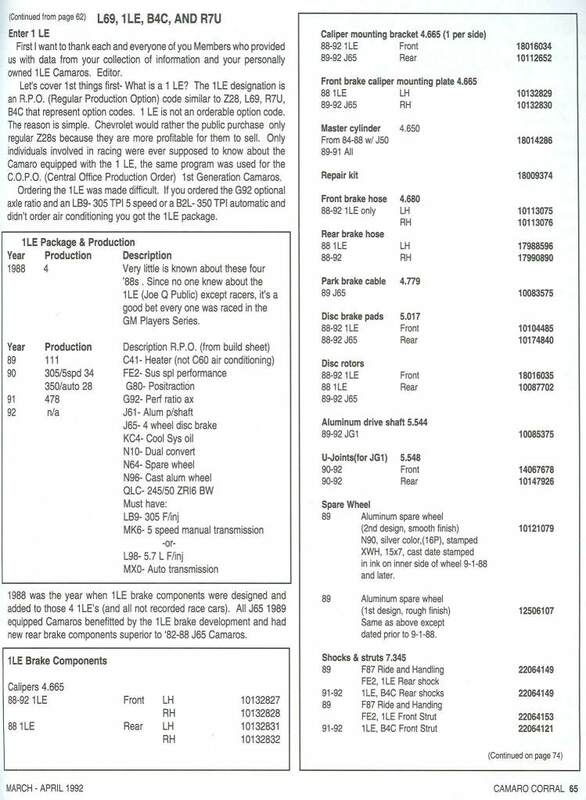 Parts from the Player's Challenge series (and coincidentially the parts that led to SLP's cold air box.